Andy Burton gives us a insight into the new lineup for the 2017 RHPK Season. It’s been widely reported that ex Burton stable mate Joseph Ettwein has found himself a drive in the new team SJ Lambo. So why did he leave and who is filling Joe’s shoes in the Burton team? Team boss Andy Burton will explain: “at the time I created the team in 2016, the ultimate aim was to get my son Tom into the team whenever he was ready. Unfortunately for Joe, Tom showed a lot of promise during practice throughout last year and I felt he was ready for this season. For this reason, we sadly had to let Joe go”. So the driver line-up for 2017 will be Andy Burton, Nick Griggs and Tom Valentine. 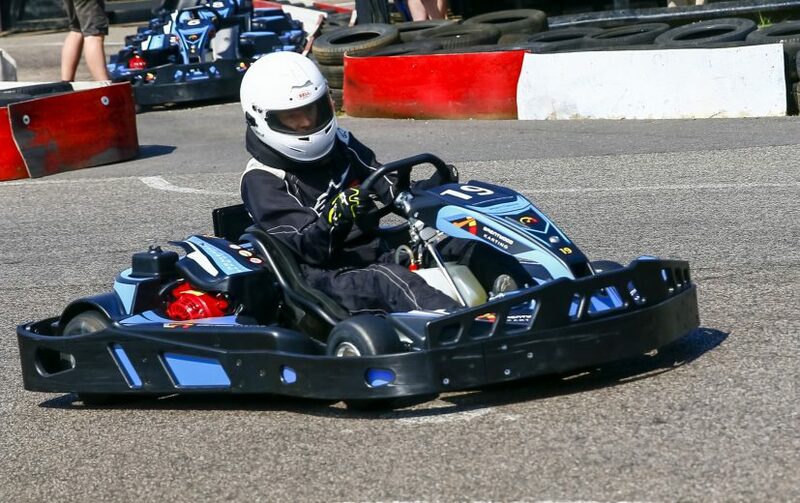 Tom started karting in 2012, his first experience was joining a friend who was having a birthday treat. 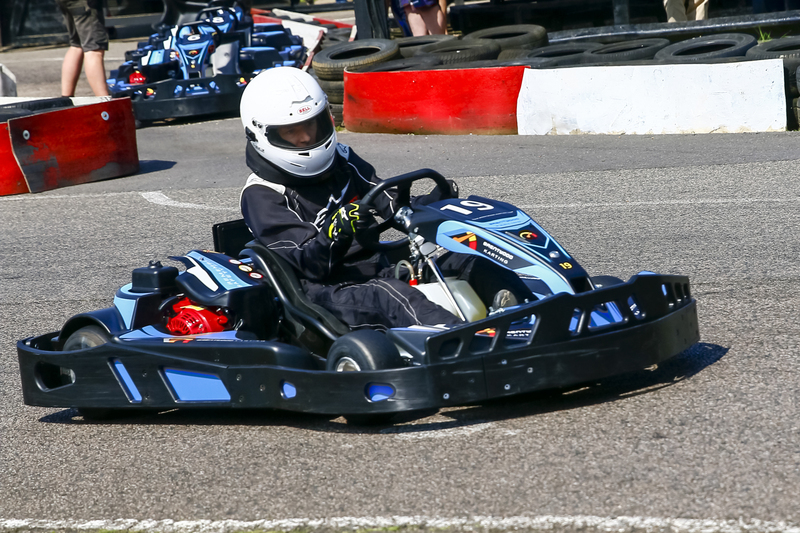 Tom told his dad about how much he enjoyed it and they both ended up at Brentwood Karting during the weekends and holidays. The truth is if Tom hadn’t gone on that birthday treat, Andy would not have got into karting himself. 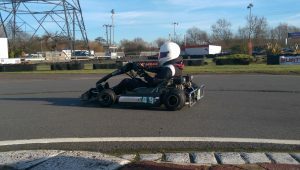 Tom eventually got up to speed and joined the Brentwood Junior Race League which races their corporate karts on a Sunday morning, something he still does today. At the age of 17, Tom will be moving across the track to the RHPK paddock. In 2015, Rye House allowed Tom to join his dad in the Lotus Cup championship whilst only 15. He has competed in the last 2 seasons and has gradually learnt to be more aggressive in this form of adult racing. He managed to win one of the race heats in 2015, something his dad has yet to achieve! So at the age of 17, Tom will be moving across the track to the RHPK paddock. A couple of thursday ago was the first test for the Burton guys this year. Tom drove a kart that was close to a race weight for the first time, also for a long stint (he will need to carry around 30kg of ballast!) It was a bit of a shock, the effort required and the handling of a heavy kart but he will build on that experience. Both Andy and Nick are fully behind Tom and believe he can do this and get up to a competitive race pace quickly. So the first couple of races may be a steep learning curve but expect the Burton guys to be mixing it up in this very competitive clubman class during the season. Burton Power has confirmed their commitment to RHPK again this year by sponsoring the series..